The name "cluster" for a celestial object is pretty self-explanatory. It is a collection of stars clumped together and connected in some way. It is the way they are connected that is the key to identifying the two distinct types. These are tightly packed, spherical groups of stars, connected, or bound together, by intense gravity. Here's a good example. 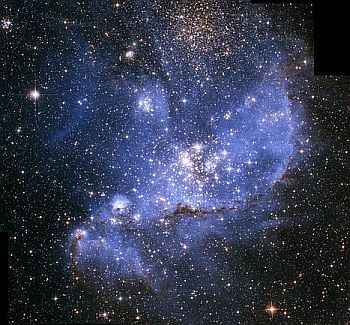 M80, or NGC 6093, is situated some 28,000 light years away and is one of the densest known globulars in the Milky Way. It contains hundreds and thousands of stars, all of which are in a later stage of development than our Sun. You can see that some parts of it have an orangey hue, indicating the presence of red giants. The first globular was discovered in 1665, but not recognised as such as the telescopes at the time were not powerful enough to resolve individual stars. The actual composition of a globular was finally observed by Charles Messier when producing his catalogue. 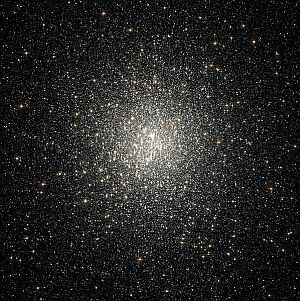 These days, it is known that there are at least 150 globular clusters in our Milky Way - maybe as many as 180. In fact, these objects seem to be quite common in galaxies. It is known that globulars generally display no examples of active star formation and this would indicate that they have been around for a very long time - enough to make them the oldest objects in the Galaxy. What is less known, however, is how they came to be in the first place. It is thought that most globulars contain stars all at the same stage of evolution, but this is by no means the case for all of them. That's where the uncertainty regarding their formation comes from. Theories to account for this include the possibility of collisions, either with other globulars or giant molecular dust clouds, both of which would trigger further star creation. At any rate, globulars tend to form (logically enough) in areas of good star formation, where the material required for this is unusually dense. This is an interesting theory that some globulars may be dense enough to have formed black holes at their centres. The resultant size of them would place them in an intermediate position between stellar black holes (those formed by the collapse of a single star) and super-massive ones, found at the centre of galaxies. Although certain astronomers are a little sceptical about such a theory, two globulars - M15 and Mayall II - display X-ray emissions consistent with a black hole at their cores. This is the name for a collection of stars some 14,000 light years away that has been designated a "super star cluster". It is an example of an object that is on the way to becoming a globular. It is thought to have formed from a single burst of star formation and contains types of stars that are not generally well understood. They include yellow hypergiants, red supergiants, Wolf-Rayet stars, luminous blue variables and an X-ray pulsar. These are collections of stars that are united by the fact that they all originated from the same molecular cloud at roughly the same time. 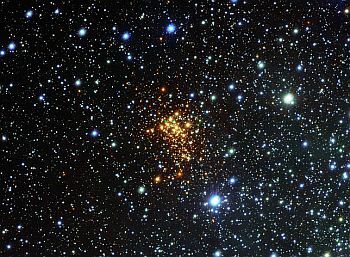 Within a typical open cluster there will be a few thousand stellar bodies. They'll not be as tightly packed as those in a globular, so the whole structure is nowhere near as stable. Their lifetimes might be a few million years, which is considerably shorter than that of globulars. 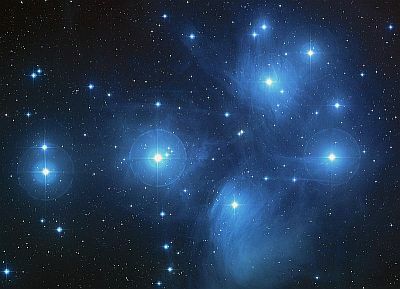 Here we have the famous collection of stars known as the Pleiades, or the "Seven Sisters". Noteworthy in being visible to the naked eye, this structure is actually an open cluster containing around 3,000 stars. 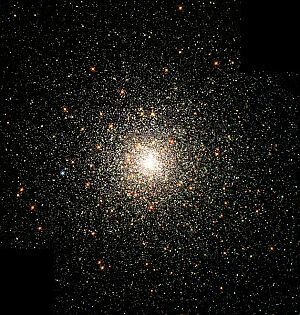 There are around 1,000 known open clusters in our Milky Way, but there are likely to be many more. Although, as stated above, the average number of stars will be a few thousand, the range can be from as few as 100, to the largest examples, with 10,000. 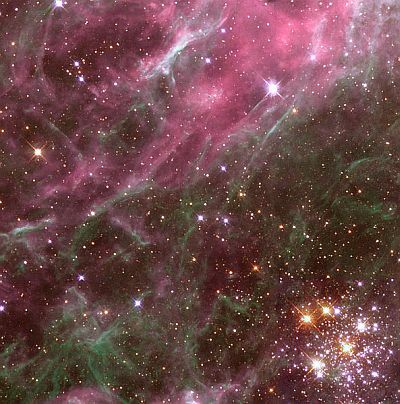 These swarms of stars will eventually, through both internal and external mechanisms, disperse. Sometimes, a number of stars will continue to move through space with similar trajectories. Such stars are said to form a "moving group" and certain stars in the famous constellation the Plough are part of the Ursa Major Moving Group.